Living with type 2 diabetes is tough enough. The kind of information overload online – myths and facts about type 2 diabetes – and not knowing what to believe is like the last straw on that fabled camel’s back. With type 2 diabetes, the moment the diagnosis is made, a million questions come up – mostly about diet; Can I eat this? Should I eat that? Then there are doubts about which activities are safe. Naturally, the doctor does not always volunteer all the answers. So here are some interesting myths and facts about type 2 diabetes that I found interesting to know. I’ve mentioned the myths in bold italics followed by the facts in normal text. There is no special diabetes diet. 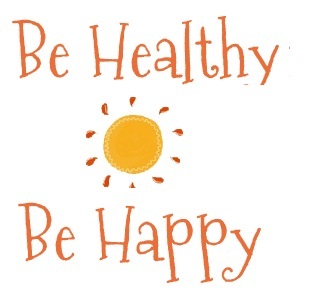 The same healthy diet holds good for everyone. This means a healthy dose of whole grains, fruits and vegetables and limiting fat (saturated and trans fats) and refined sugar. Research shows that special diabetic foods don’t really offer any special benefits. Some of them are known to raise blood sugar, besides being quite expensive and having a laxative effect if one of the ingredients is sugar alcohol. Truth is, genetics causes type 1 diabetes and is triggered by unknown factors. Type 2 diabetes is also caused by genetics but lifestyle factors play a major role, too. If you have diabetes, you should minimize starchy foods, such as bread, potatoes and pasta. As in the case of starchy foods, when sweets and desserts are part of a healthy lifestyle that includes a healthy meal plan and regular exercise, they are not forbidden. The most important thing is portion control and not making them a regular part of your meals. As far as possible, make sweets a treat for special occasions and focus on foods that help on a daily basis. That fruits are healthy is a fact. They provide fiber, vitamins and minerals. They also contain carbohydrates, so talk to your doctor about how much fruit you can eat, how often and what types. My doc advised me one serving of fruit daily. You need not take diabetes seriously. Unfortunately, diabetes can destroy lives and is the cause of more deaths than breast cancer and AIDS combined. When managed carefully, it is possible to prevent or delay the complications of diabetes. Out of three people with diabetes, two die from heart disease or stroke. While being overweight is a risk factor for type 2 diabetes, there are other factors that come into play such as family history, age and so on. There are overweight people who never develop diabetes and there are diabetics who are at normal weight. The good news is losing just a few pounds can result in big benefits. If you eat healthy foods, your blood glucose will not rise. Too much of even healthy foods such as whole grains and fruits can make your blood sugar rise. Gestational diabetes – diabetes during pregnancy is nothing to worry about. It goes away after the baby is born. The fact is, gestational diabetes puts both Mom and baby at a higher risk of developing type 2 diabetes later in life. The likelihood of getting sick is the same for everyone but for diabetics, recovery can be longer and the diabetes harder to control. So long as you follow your treatment plan, your blood glucose will never rise. People with diabetes experience blood sugar highs even when they meticulously follow their treatment. It is possible for someone to have mild diabetes. Anyone who has diabetes faces the risk of the serious complications of diabetes. Not always. More often than not, people cannot feel when their blood glucose is low (hypoglycemia) and this can be dangerous. The actual cause of diabetes is unknown, but what is known is this: genetics and lifestyle are major factors. Diabetes is most certainly not contagious. For those with type 2 diabetes starting insulin treatment implies that you are not managing your diabetes properly. Type 2 diabetes is a progressive condition. Initially, after the diagnosis is made, it is possible to manage blood sugar at healthy levels with lifestyle modifications, diet, exercise and medication. Over a period of time, as the body’s insulin production starts to dry up, oral medications alone may not be enough to keep blood sugar normal. At that point, insulin may be prescribed to make sure blood sugar levels stay healthy. Being diagnosed with type 2 diabetes can be upsetting because it is a serious condition. There is no need to make it worse by believing in the myths that surround it. Day 13 of the Blogging from A to Z Challenge. 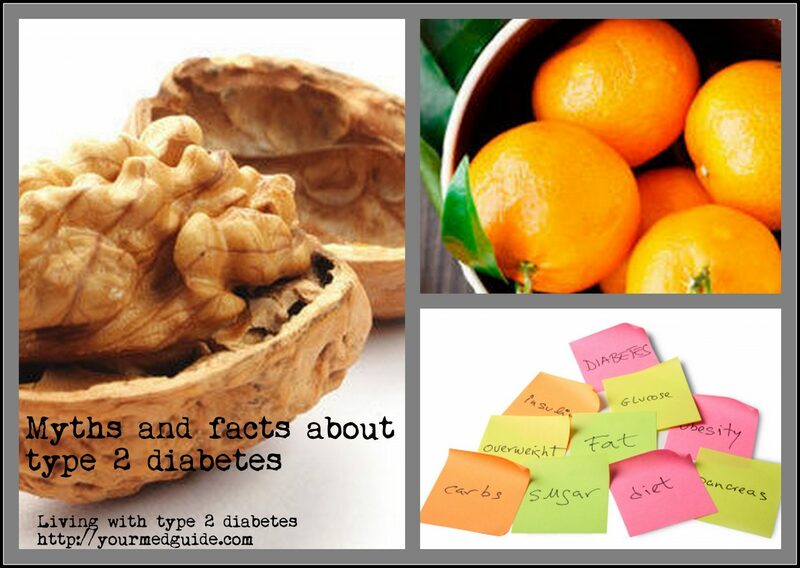 M for Myths and facts about type 2 diabetes. The poular myth here in my village is, if you have diabetes, you have to boil all your food and add no oil whatsoever, not even olive oil or low fat margarine or butter. The food must be salt free too. Makes for very dull unappetising meals and then some people give up and start eating what and how they like because this version of a healthy eating plan is not sustainable.